I pride myself on knowing at least a little about pretty much any topic. I love pub trivia, Jeopardy, and any other competition that tests the knowledge of obscure information. So in all my years of learning and acquiring strange facts, historical data, and geographical layouts, I can safely say I am woefully ignorant about Africa. It is the last category I would like to see come up in a trivia game. I would rather be faced with other topics I am shamefully under-prepared for such as: Opera, Country Music, Asian Languages, or Romance Literature (both the era and the genre). The point is, I am ashamed of this fact and hopefully through this undertaking I can fill in some of those gaps and strengthen my understanding of the continent, which is second in both population and area. We’ve already seen Algeria with its Berber and French influences, so now let’s take a look at Angola which (I had no idea) was a Portuguese colony until 1975. Following their independence they promptly entered a civil war which lasted 26 years until 2002. As with many African nations, violence has permeated their history often due to historical European interference. I’m sure that won’t be the last time it comes up in this blog and it’s the unfortunate past of the “dark continent”. What? You want a non-depressing fact about Angola? Ok…umm…well…the Cabinda Province is separated from the rest of the country by a strip of the Democratic Republic of Congo. That’s pretty interesting I think, right? There are actually very few of those situations in the world, so yes it counts as interesting. Alright I’ll move on to the food. I made Fish Calulu which is clearly the most fun dish to say of those I have made so far. The origin of the name is debated but possibly comes from “caruru” which may refer to certain types of leafy plants. 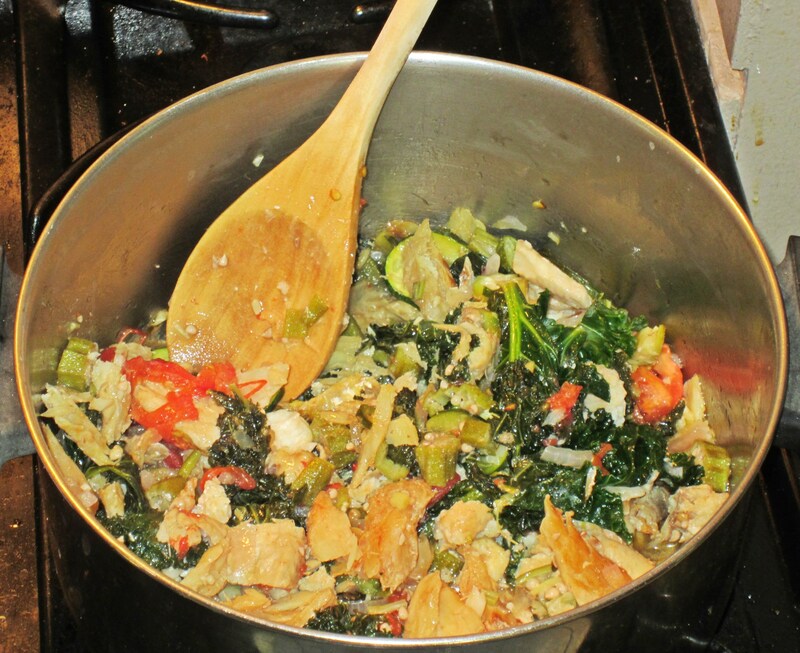 The dish features okra heavily, a popular vegetable largely known throughout the southern United States, many African slaves brought it with them to the new world. Being a coastal country it makes sense that fish would also play a large role in Angolan cuisine. This was my first time cooking with salted (dried) fish and it may have been the only part I didn’t entirely care for. I followed the instructions for how to rehydrate it but it was still very salty and very, very chewy. Perhaps next time I would increase the soak time and change out the water frequently. Other than that I was surprised by this dish. 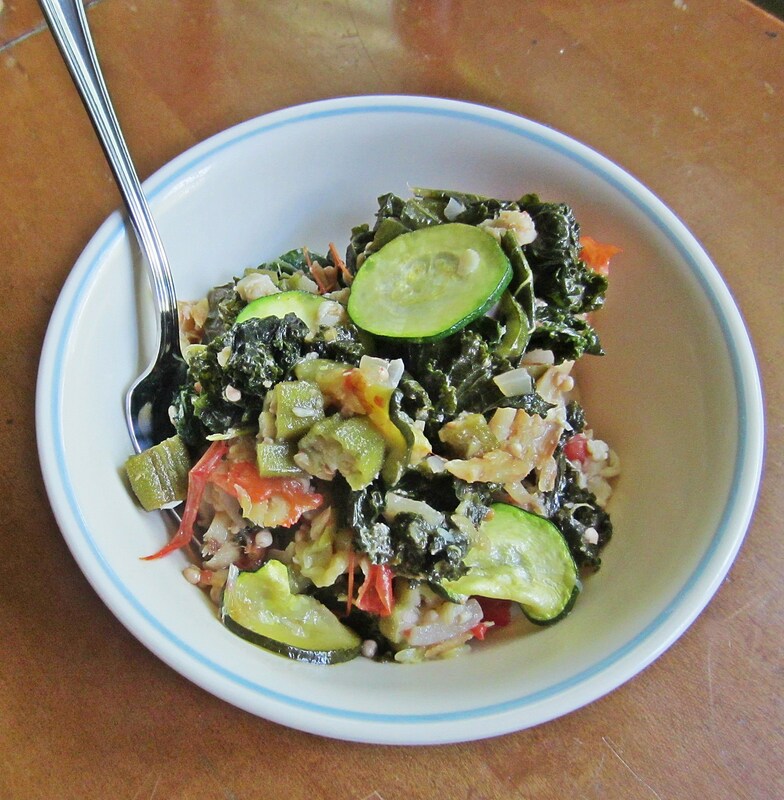 The kale was delicious with the fish flavor absorbed and the okra (which is used as a thickener) delivered the texture needed for a coating sauce. 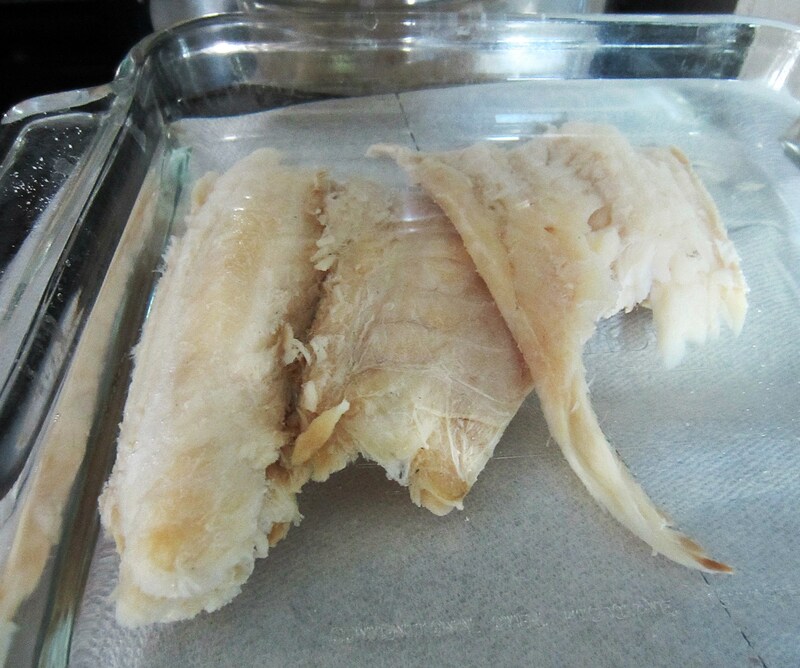 I used tilapia as the fresh fish and it had great flavor and texture. This is a nice light summery dish that would probably taste even better if eaten while on a beach somewhere with the sea air in your nose and a breeze in your hair. Add the dried fish to a bowl, cover with boiling water and set aside for 20 minutes. After this time drain the fish and pour more hot water to cover then set aside for 1 hour. Meanwhile, add the fresh fish to a bowl and season with the garlic, salt and lemon juice. Set aside to marinate for 20 minutes. 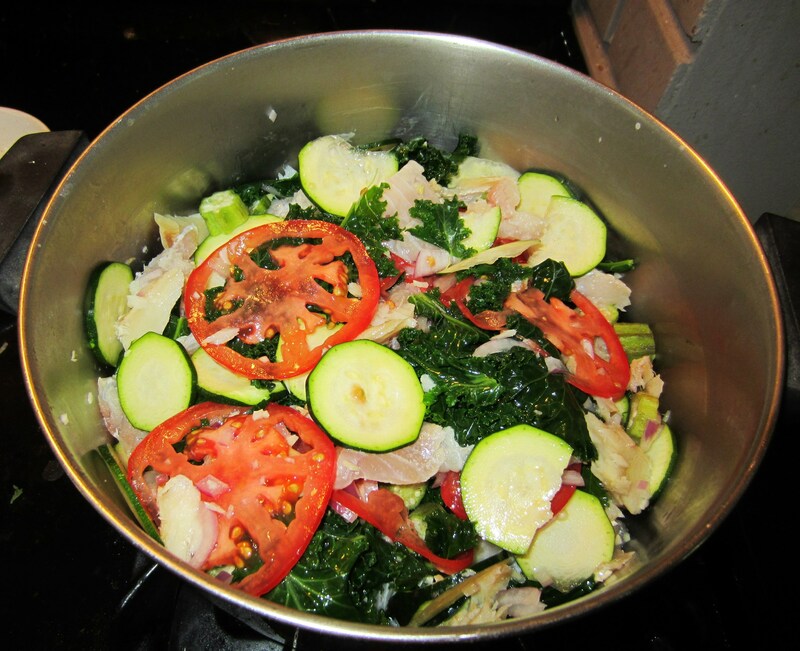 In a large pot, alternate layers of dried fish, fresh fish, sliced onion, sliced zucchini, kale leaves and sliced okra. Combine the oil with any remaining fish marinade and then pour over the contents of the pot. Bring to a simmer then cook for about 50 minutes, or until the contents of the pot are tender.